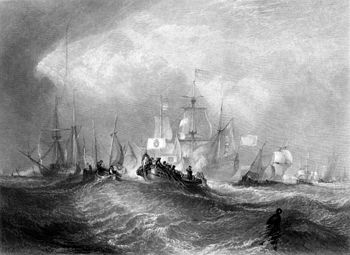 In November 1688 William of Orange landed at Torbay with a combined force of Dutch and British troops. Early in 1689 the English Parliament declared for William. In Scotland and Ireland things were less clear cut, Scotland was finely balanced and Ireland was more Jacobite than Williamite. The events of 1689 determined who sat on the throne, and Britain becoming a global power. A 1689 megagame will let players explore this and see if the outcome was a foregone conclusion or not (I don’t believe it was as easy as history makes out, and the Jacobite rebellions of the first half of the 18th Century bear out the continuing support for King James II and his descendants). The 1689 megagame will be a political and military game about the events of 1689 that historically lead to the overthrow of King James II and his replacement with William & Mary. The 1689 megagame should cover the strategic options of both Kings, and the immediate political issues from the ruling classes of the Kingdoms. Specifically there should be a real dilemma for players on whether to switch sides (and at what point to jump, and whether to jump back). Historically changing sides was common, and some major figures did so more than once. Underlying this there is a military game. Although all out war was avoided in England (the memory of the Civil Wars was too recent) this was not true in Scotland or Ireland (where the memory was still recent, but there were more scores to settle and force of arms was used more often). Significantly the settlement was rapid in England because William threatened to take his army home. There are also resource constraints. Money needs to be borrowed, and paid back, to finance the campaigns. William appears to have planned better and has more immediate resources. William has a Government in London and the Netherlands. It supplies him with money and troops and he needs to engage politically with both Parliaments. He is also fighting a war with France, of which this becomes a wider part. Decisions here are about deployment of resources and diplomatic efforts to close down support for James, and ensure that he does not have to get blood on his hands directly. 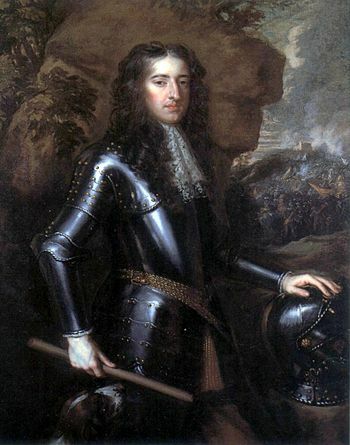 His orders in late 1688 specifically allow James to escape, he was worried that elements of the English aristocracy would push him into a position where a captured James would have to be executed. Members of the government (not William himself) could potentially be subject to desertion to James, so they need to be kept onside. Scaling at the lower end this can be a control role, in a high turnout game it could be a small player team to co-ordinate across Scotland and Ireland and do some diplomacy (via control). As with William King James II has some loyal followers with him. Initially he is in France, having fled London in December 1688. After getting help from the French he returns to Ireland to raise an army to fight against William’s troops. Throughout the period his government is in letter communications with a number of officials and sympathisers across the three kingdoms to keep them in play as his loyal subjects. Within his cabinet there is a high level of political intrigue and this leads to it being dysfunctional. In particular the Drummond brothers are hated by many who are otherwise loyal to James. There are also other enmities, often borne of the same issues that lead to William being invited over. Defections and desertions from and to James are common. Scaling this could be a control role in a small game. In a larger turnout it would be useful to play some of the Cabinet roles with James as Control. In a very large game then there could be a Hitler’s Henchmen style sub game going on with this team. This represents the Nobles, Clergy and Gentry of Scotland. It met in March 1689 and was initially neutral, however when Viscount Dundee left it then it eventually declared for William & Mary. Potentially this could have been different. Orange or Lemon deals with this area and I’d re-use it as a sub-game in a 1689 megagame. In effect this group of players hold the Government in Scotland in their control. They have agreement of who is the King, and to some extent the office holders of the Scottish Government are drawn from their ranks. Which way the Convention jumps will have a major impact on the course of the game (if they went for King James it could lead to him landing in Scotland rather than Ireland and calling on the Scottish Army to march south (it was disbanded at Reading in December along with the English Army)). Scaling this needs at least 7 players, of which two are staunch supporters of one of the Kings. If the ‘wrong’ King is chosen by the convention there is a role for these characters elsewhere in military opposition to the decision. The minimal player set are the leaders of the main interest groups, most of whom are undecided. In a medium sized game there are roles for up to 20 members of the Convention, the decided factions get a little larger and more undecided players are added. Each of the undecided will have agendas they want to see to gain their support, and a fear of being on the wrong side. It will take longer to make the Convention choose with more players, but it should become decisive if lobbied correctly. These are a disparate bunch, with internal conflict within them. Typically the Chiefs are well educated men (many are university graduates, or have studied). However they have a distrust of central government and obey only in so far as the King is willing to enforce things. They recognise authority in force of arms rather than de jure. An internal power struggle will be seen as a golden opportunity to settle old scores and raid for plunder in the guise of supporting the King. There are few that can control Highland clans, their Chiefs and people they respect. An example of this is the recent Battle of Maol Ruadh (anglicised as ‘Mulroy’) in June 1688. Though government troops were involved, the fight was essentially a localised, private power struggle between clans (the MacIntosh clan settling a land dispute against the Keppoch MacDonalds). It was the result of deeply-entrenched, on-going clan tensions exacerbated by decades of political upheaval and lack of centralised authority in the Highlands. The battle of Mulroy highlights King James’ tenuous political authority and inability to maintain order in Scotland. Scaling the major clans need to be played, ideally with at least two players per clan to allow dealing with both political and military issues (or both sides simultaneously if they aren’t active military). This would make for at least eight players (two each of the Grants, Camerons, MacDonalds and Campbells – although the last have at least one in the Convention). 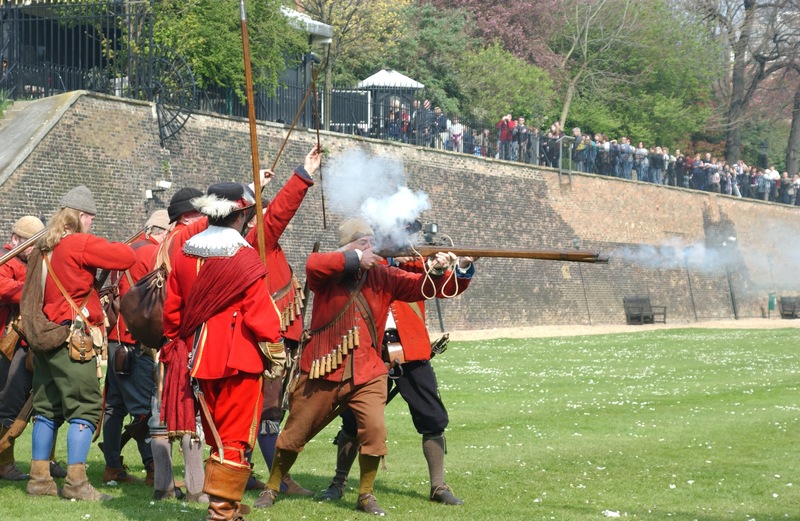 With a larger turnout there are 18 major Chiefs that were involved in the 1689 battles that could be played. There is also the possibility of running the clan sub-game in a similar way to the ancient celt game. 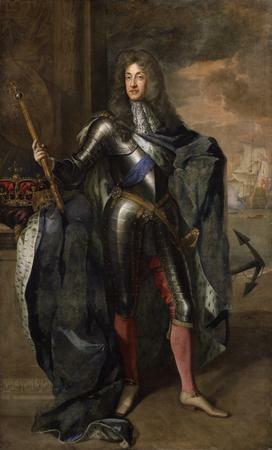 James II disbanded the armies, but William brought his own loyal troops from the Netherlands, including a Scots Lowland brigade. There were also some other Lowland troops raised either to fight for William, or re-mobilised by William. There are also some castle garrisons. Conventional forces operating North of the Highland line are hard to keep supplied and operational. Also the terrain makes a lot of the training and doctrine hard to implement. The primary military leader for William was Major General Mackay, a highlander who had spent over 20 years in the service of the Netherlands. He has considerable freedom of action in how he deals with Jacobite forces in Scotland. His primary constraints are money and logistics. Scaling the conventional forces need 2-3 players as a minimum. They have a standard command structure which means that the subordinate players have less freedom of action. If the game was larger there could be scope to add some liaison officers and logistics officers, but this is unlikely to take the need to more than 5 players. The key determining factor is the number of independent forces that could be created and the level of diplomacy done by military players. In the latter case I would expect this to be done by players from the Convention once it had reached a consensus on the King it was supporting. 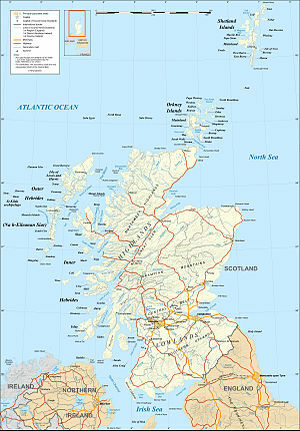 There are three significant castles, Edinburgh, Stirling and Dumbarton. Edinburgh is a player role and casts an important shadow over the convention. The other two could be run by control if necessary. They guard important routes to and from the Highlands and are nominally controlled by the King. Other castles exist but these are private strongholds. The entire revolution took just under two years, but mostly the decisive phase is between March 1689 and August 1689. Ireland takes another year to mop up, there are also some loose ends in Scotland to deal with after the clans return home after the defeat at Dunkeld. Potentially the Convention decision cycle could be extended from when it actually happened to allow it to go in parallel with the raising of the clans. That would allow the events to take place over 8-10 turns of about 40 minutes each (longer first turn and variable end). This would give a notional turn period of about two weeks. 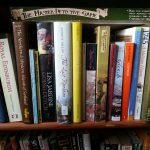 Would you play in a 1689 megagame if it was worked up? is there anything else you think could be included or left out? would you want to work with me to make it happen? leave a comment and let me know what you think. If there is enough interest I’ll approach Megagame Makers and see if it can go on the programme. 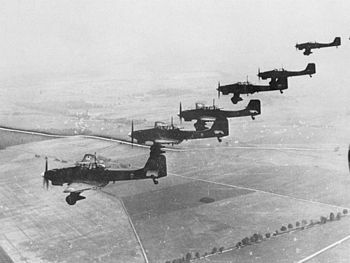 Could there have been a German Invasion of Britain in 1940? Welcome to Cold Steel Games!